Nutmeg is evergreen tree belonging to Myristicaceaefamily, and known scientifically as Myristica Fragrans. Basically, nutmeg (Jaiphal) is an egg-shaped seed from nutmeg fruit. It has more robust flavour than mace (Javitri), but they are otherwise very similar. 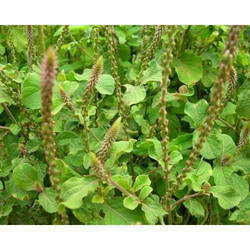 Furthermore, it is full of essential nutrition, mineral, vitamins, so it is used as home remedy also. It is useful in curing skin issues such as Eczema and Acne. 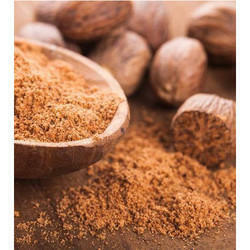 Pooja Traders is Ahmedabad based Nutmeg Powder – Jaiphal Powder Manufacturers in India. Nutmeg oil is rich in eugenol, which helps relieve joint pains. Common Names: Jaiphal, Jaivitri, Jawzat, Pala, Muskatbaum, Muscadier, Nuez Moscadaetc, etc. Origin: Nutmeg is indigenous to Moluccas (or Spice Islands) of Indonesia. We are devoted towards offering the qualitative range of Curry Leaves Powder as per client’s precise need and requirements. 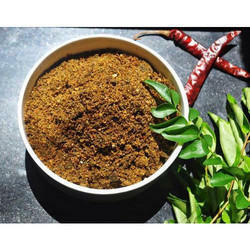 Pooja Traders is Ahmedabad Based renowned Sweet Neem Curry Leaves Powder Manufacturers, Suppliers in India. our Powder are widely demanded in medium and large sized enterprises in all over india. We are offering Onosma Bracteatum Powder to our client. Looking for Cooking Spices Powder ?